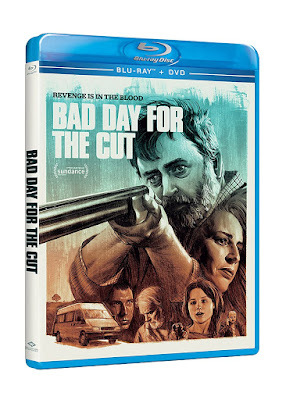 Revenge films seem a dime-a-dozen these days, though Bad Day for the Cut has a few elements which help it to stand out from the rest. First of all, there is the fact that it is set in Northern Ireland and within the criminal underworld of Belfast, giving it a unique flavor along with the need to turn on the English subtitles through some of the dialogue featuring thicker accents. But even more important than the setting is the choice to make this as much a mystery as it is a revenge film. Our protagonist seeks more than just vengeance, but also answers to the motivations behind the inciting violence, which keeps viewers engaged even throughout the film’s more derivative moments.